Eternally Yours (Alim LiTerufah) is arguably the best source of how to live with chizuk on a day by day basis available. If you don't already, I recommend spending a couple of minutes reading one letter a day (or at least a part of a long letter). I know many people, including myself, who did this and whose entire attitude towards life was completely changed. It's probably best to learn these letters in order since their content gets progressively stronger. However, if someone is going through hard times, I recommend that they start with the later volumes (which include letters from the years of the Machlokes) because they will need them as a form of first aid. 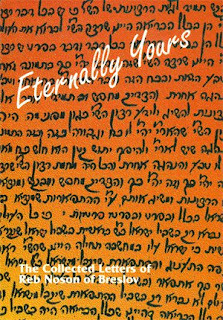 While Meshivas Nefesh is a truly wondrous sefer, learning Eternally Yours gives one a feel for how to live chizuk. It teaches you how to live through the ins and outs of life and attain vitality even when things are not going so well. Without first internalizing Eternally Yours, you simply cannot apply Meshivas Nafesh and Likutei Halachos to your daily life. I have heard from many of my teachers that reading these letters is absolutely essential to understanding Breslover Chassidus. As we enter Elul, Chabad Chassidim have the custom to say three parakim of tehillim every day until Yom Kippur when we finish the last 36, thereby finishing the entire sefer tehillim during this auspicious time, in addition to the regular monthly Tehillim we say daily. We have a mesora that this minhag comes from the Baal Shem Tov himself. My question is whether this minhag/mesora exists by other Chassidic groups as well?